July 18, 2015, Toms River, NJ – Toms River students, faculty, and staff joined the Colon Cancer Alliance for the Undy Run/Walk this July, supporting the fight against colon cancer. 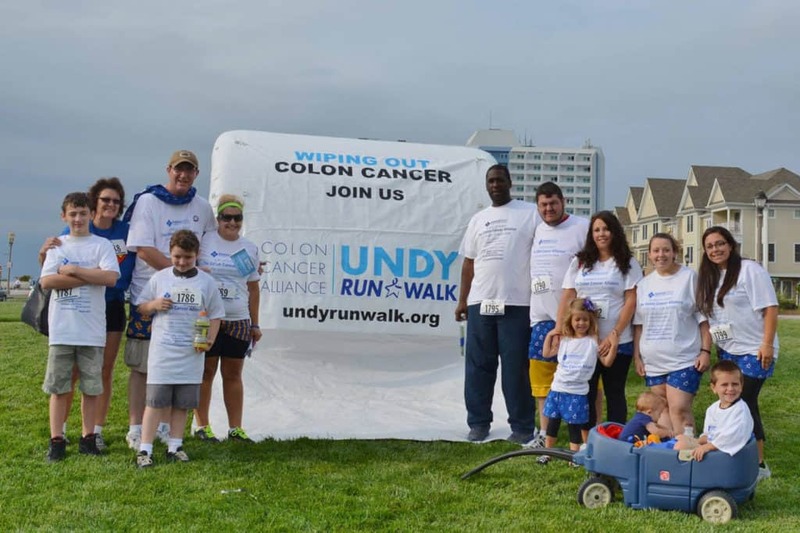 The Colon Cancer Alliance is the leading national patient advocacy organization dedicated to increasing screening rates and survivorship, and the Undy Run/Walk is one way they help get the word out to encourage people to get screened and beat the disease. This cause hits close to home for our Toms River team, who walked in honor of Paul Bowen, a part of our extended AI family that lost his battle with colon cancer in February 2014. Said his son JP Bowen, “I have to take a minute and thank the American Institute family for everyone who participated in today’s walk, donated, or contributed in any aspect towards the walk and cause. Thank you! !” With ongoing fundraising at the campus surrounding the walk, American Institute was able to donate more than $725 in team registrations and direct donations.